Love the view through your windows but can’t stand the sun hitting you in the eyes or the extra heat? Do you ever wonder how a nice restaurant on the water facing West can still stay in business during the sunset? Then it’s time to contact Olympia Fireplace & Spa and ask us about retractable awnings and window screens by Sunsetter and ABC Sun Control Systems. We can custom fit awnings that can shield you and your belongings from the sun’s harmful UV rays that can cause fabrics to fade as well as drive the temperature up during the summer months. Our lateral arm awnings can be ordered in just about any length from 8′ to 40′ to help cover just about any area and can be mounted on the roof of the structure or a vertical wall. 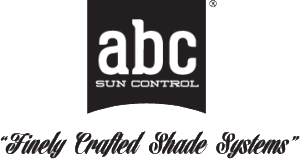 Sunsetter products use only the best woven acrylics in the most popular colors to help match your patio color theme and last you a lifetime. Retractable awnings can be used for some weather protection outside your patio door, over a dining area overlooking a majestic view, a meeting area for an number of people or just about anything you can think of. We have installed retractable window screens on homes located on the water, condominums, restaurants, offices and more where it is a must to preserve the view through a window or a bank of windows during the worst times of the day when the sun can be the most challenging. Our window screens are manufactured using a state of the art PVC coated material that is just about invincible to the sun’s destructive UV rays and available in many colors to help blend in with the exterior color of the structure. Our retractable screens are not only used to protect your eyes from the sun while preserving the view, but, also used for temperature control. Help prevent the temperature from climbing by keeping the UV rays out with retractable window screens installed by Olympia Fireplace & Spa. Both retractable awnings and window screens can be controlled manually or they can be equipped with a Somfy motor for ease of operation. Don’t know whether to choose an awning or a screen or a combination of both? Our patio professionals in either our downtown Olympia or Chehalis location would be happy to help you. We introduced retractable awnings in 1995 to help residents in the South Sound protect their family and homes from the harmful UV rays of the sun as well as help with the rising costs of cooling. The reason why window films or tinting don’t do anything more than obstruct your view is that the aren’t stopping the damaging UV rays from the sun from entering the home. You can help reduce heat, protect artwork, furniture and carpeting all with the flick of a switch by having us install a retractable lateral arm awning or retractable window screen from Sunsetter Awnings which will stop those UV rays before they have a chance to make it inside. Do you want to maintain the beautiful view from your patio or living room or be able to enjoy your sun room without being cooked out off it? Then give us a call now and we can help you.